Probiotics, also known as “friendly” bacteria, include a variety of beneficial strains that live in our gastrointestinal tracts. Even though they reside in our gut, they impact the entire body, including our respiratory tract. In recent years certain probiotic strains have gained attention due to their ability to support our immune health and even reduce the incidence and severity of colds and other upper respiratory tract infections. Children in daycare given a milk drink with a specific strain of Lactobacillus rhamnosus (Lactobacillus GG) were found to have fewer and less severe respiratory infections. A similar study published in 2009 in Pediatrics found that children given a drink with Lactobacillus acidophilus and Bifidobacterium animalis were 45% less likely to develop a fever and cough than the children taking a placebo. They were also much less likely to require antibiotics. Some other strains to look for include L. Casei, L. Reuteri, L. Plantarum, B. Lactis and probably the most well known strain- L. acidophilus. 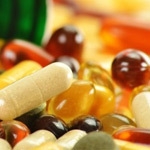 Supplements may be required for therapeutic doses or if someone cannot tolerate food sources of probiotics. Always choose a high quality supplement to ensure live active cultures with a minimum of 1 billion “colony forming units” or CFUs. During antibiotic therapy take probiotics as many hours as possible in between doses of antibiotic and continue the probiotics for a few weeks after antibiotic therapy is complete.